These General Terms and Conditions of Sales of Makeblock Co., Ltd., a limited liability company incorporated under the laws of the Peoples’ Republic of China, with registered office at 4rd Floor, Building C3, Nanshan iPark, No.1001 Xueyuan Avenue, Nanshan District, Shenzhen, Guangdong Province, People’s Republic of China (“Makeblock”). These General Terms and Conditions of Sale (“Conditions”) comprise the basis on which Mackeblock sells its products (“Products”) and shall form an integral part of any contractual relationship between Makeblock and its counterparty as regards the sale or delivery of Products. In these Conditions, any counterparty shall be referred to as “Buyer”. Each of Makeblock and Buyer may also be referred to as “Party” and together as “Parties”. “Agreement” means the relevant Confirmation and these Conditions. “Confirmation” means the confirmation in writing by Makeblock to Buyer in relation to Buyer’s order. Any order requires the issue of a duly signed Confirmation by Makeblock to Buyer in order to constitute an Agreement binding upon Makeblock. No other general terms and conditions shall be applicable, supplement or set aside (any part of) these Conditions unless expressly agreed to by Makeblock in writing. Reference by Buyer to any other general terms and conditions is hereby explicitly rejected. In case of any inconsistency between the English version of these Conditions and a version in any other language, the English version shall prevail. No right or claim of Buyer may be assigned to an affiliate of Buyer or a third party without prior approval of Makeblock. All offers, including verbal offers or other declarations by Makeblock’s (sales) representatives and/or employees, either as price lists or otherwise (“Offers”) are completely free of obligation and do not oblige Makeblock in any way to conclude a contract with Buyer. No Agreement will be constituted until after the written Confirmation of an order within eight (8) working days after receipt of an order from the Buyer or after Makeblock has commenced to fill the order. The contents of the Confirmation shall be determinative of the contents of the Agreement. Within eight (8) working days of the date of the order and/or the Confirmation, Buyer shall notify Makeblock in writing of any mistakes in the order form and/or the Confirmation, such as writing, printing or computing errors. Makeblock shall correct such mistakes that it considers justified within a reasonable period of time. In the Confirmation and/or once an Agreement has been concluded, Makeblock may vary the specifications (such as colours, measurements and similar) within reasonable limits and if justified by commercial or technical reasons. In such cases, Makeblock may also decide not to deliver certain items. Each order placed by Buyer shall amount to a new offer and result in a new and separate Agreement. However, if a court or arbitration panel should find that Buyer and Makeblock have entered into a continuing performance agreement, Makeblock may at its discretion choose to terminate all or any of a part of the agreement with three (3) months’ notice, without any damages or compensation requirement. These Conditions shall also apply to any Offers and Agreements regarding the delivery of items from stock, if such Offers and/or Agreements were made after the conclusion of a prior agreement in connection to which Buyer was already provided with a copy of these Conditions. All Agreements are entered into on the assumption that Buyer is sufficiently creditworthy and if Makeblock has any reason to doubt such, Makeblock may require full or partial payment in advance or set other payment conditions for delivery and suspend, delay or cancel any credit delivery or any other performance of its obligations. Makeblock may require Buyer to provide (any) security (interest) for the performance of Buyer’s payment obligations. 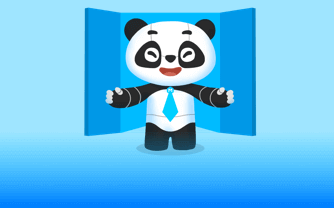 Even when such is posted Makeblock reserves the right to require additional security for payment from Buyer in the event of a change in Buyer’s economic situation. Makeblock may determine the period in which such security is to exist. Failure to provide the requested security in full, in a timely fashion or at all shall constitute an attributable failure to perform (breach of contract) and shall justify Makeblock suspending the performance of any obligation under the Agreement, postponing any delivery or even to terminate the Agreement. Buyer warrants it has secured all necessary governmental or fiscal authorization or licenses to enable it to remit all payments in the currency defined in the relevant Makeblock invoices. Buyer acknowledges and understands that any devaluation or other change in the currency of the country of Buyer’s location or the Market is at the risk of Buyer. 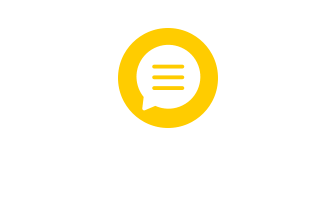 Any electronic communication between Makeblock and Buyer shall be considered to be a “writing” and/or “in writing”, irrespective of its status under Dutch law. The electronic communication system used by Makeblock will serve as sole proof for the content and time of delivery and receipt of such electronic communication. Delivery terms shall be set out in the Confirmation and be interpreted in accordance with the Incoterms 2010. In case no other delivery term is declared applicable in the Confirmation, delivery of the Products takes place FOB Shenzhen, People’s Republic of China. In case Buyer wishes to use more places of destination and Makeblock accepts such, Buyer shall bear all additional risk and (delivery) costs. In case of conflict between the Incoterms 2010 and any terms in the Confirmation, the Confirmation shall prevail. If partial deliveries are made, each such delivery may be charged separately. for any delivery made within a reasonable time before or after the stated delivery date. In the event of late delivery Buyer will give Makeblock written “notice of failure to deliver” and a reasonable time, which will be no less than thirty (30) days, within which Makeblock is allowed to cure the failure to deliver. for any delivery failure due to an unforeseen discrepancy between supply and demand for any of the Products. In such an event Makeblock shall, in the interest of maintaining, its distribution network evenly supply the available Products over all channels and all orders placed. If Buyer fails to accept delivery all costs and expenses, including but not limited to transport, duty and storage, will be at Buyer’s expense. Any requests from Buyer to delay, change or cancel a confirmed order must be received by Makeblock in writing no later than fourteen (14) days before the scheduled delivery date. Any delay in delivery of any Products shall not relieve Buyer of its obligation to accept delivery thereof. Deviations in quantity of Products delivered from that stated in Makeblock’s Confirmation shall not give Buyer the right to reject the Products. Buyer shall be obligated to pay the purchase consideration specified in Makeblock’s Confirmation for the quantity of Products delivered. The right of property in the Products delivered shall remain vested in Makeblock until Buyer has paid in full whatever is due to Makeblock for whatever reason (“Retention of Title”). During the period that the right of property is still vested in Makeblock, Buyer shall hold the Products in trust for Makeblock. The risk of loss with respect to all Products purchased by Buyer pursuant to the Agreement and the relevant Confirmations pass to Buyer upon delivery of the Products to Buyer or such other entity as designated by Buyer. Buyer shall, at its cost, insure all Products commencing immediately when the risk of loss with respect to such Products has passed to Buyer. During the period of Retention of Title, the Products may not be pledged, assigned nor may any other similar right be granted to a third party. If Buyer fails to fulfil its obligations, if in the opinion of Makeblock reasonable grounds exist to suggest that Buyer shall fail to do so, or any of the events referred to under Clause 9 occur, Makeblock shall, without notice of default or court intervention, be entitled to take possession of the Products which are subject to Retention of Title or have them collected from Buyer or from third parties holding them for Buyer. Buyer shall provide any assistance necessary to effect the foregoing, under an immediate due and payable penalty of ten percent (10%) of the purchase price per occurrence and two percent (2%) per day when such has not been remedied. In case the Retention of Title regarding the delivered Products cannot or can no longer be effected, as security for proper payment of its obligations, Buyer herewith grants a pledge to Makeblock, which Makeblock accepts, on all the Products owned by Buyer and/or any claims or rights Buyer has towards a third party holding these Products for Buyer. Notwithstanding the foregoing, Buyer shall be entitled to (re)sell the Products in the normal course of its business, including prior to its payment in full of the purchase price. The risk of loss or damage to the Products shall at all times pass to Buyer on delivery in accordance with the agreed delivery term of Clause 3.1. Any promotional materials which Makeblock has made available to Buyer to promote its products and/or brands shall remain Makeblock’s property and shall immediately be returned at Makeblock’s first request. Such promotional materials may not be sold and/or transferred to third parties. Unless agreed otherwise in writing between Makeblock and Buyer, sales prices are in USD (US dollars) and do not include any taxes, duties or similar levies, now or hereafter enacted, applicable to the Products. Makeblock will add taxes, duties and similar levies to the sales price where Makeblock is required by law to pay or collect them which will thereupon be paid by Buyer. The price for the Products is based on the cost price for the Products applicable at the time of the Offer. In case of a change in the cost price resulting from an increase in the prices of energy, raw materials or other materials necessary for the manufacture of the Products ordered by Buyer and/or an increase in freight, storage, insurance charges, wages and exchange rates occurring prior to the agreed date of delivery, Makeblock shall have the right to increase the price of the Products ordered accordingly, even if such an increase was foreseeable at the time of concluding the Agreement, by a ninety (90) days written notice to Buyer. In the event the increase of the cost price for the Products exceeds five percent (5%), Buyer shall have the right to cancel the Agreement within three (3) days after receipt of the prior written notice of each such an increase. If Makeblock advises on possible retail prices to be used by Buyer, such are only suggestions to Buyer, based on Makeblock’s understanding of the market. The purchase price shall be paid, effectively in the currency referred to in the Confirmation, to the bank account of Makeblock in accordance with the payment terms stated on the invoice or otherwise within thirty (30) days after the date of invoice. all costs, including judicial, made in order to obtain payment by Buyer of the amount or amounts due, shall be borne solely by Buyer. These costs are fixed at fifteen percent (15%) of the amount due, but with a minimum of EUR fifteen hundred (1,500). Amounts paid by Buyer shall be credited by Makeblock against the debts receivable by Makeblock from Buyer, including those pursuant to Clause 6.2, in the chronological order of the due dates of the debts, unless specifically indicated otherwise on Buyer’s remittance. Makeblock grants that under normal use, the Products, shall, be free from defects in material or workmanship. Makeblock’s sole and exclusive obligation, and Buyer’s sole and exclusive right, with respect to claims under this warranty shall be limited, at Makeblock’s option, to the replacement of a defective or a non-conforming Product or to an appropriate credit for the purchase price thereof. 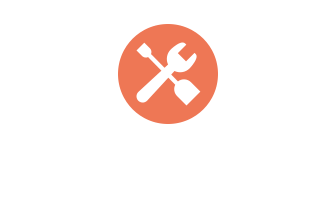 Buyer may ship Products returned under warranty claims only with Makeblock’s prior written consent. Where Products are sent without such prior written consent or where the Products are not found to be defective or non-conforming, Buyer shall pay for the returned Products as well as the freight, testing and handling costs associated therewith. Receipt by Makeblock of any return shipments may not be interpreted as constituting approval or acceptance of such shipments. If the Products are returned by Buyer, the risk of damage or loss shall remain with Buyer until the Products have been received by Makeblock . 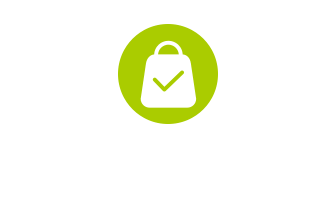 Makeblock shall store any Products returned without justification at Buyer’s expense and risk. Notwithstanding the foregoing, Makeblock shall have no obligations for breach of warranty if the alleged defect or non-conformance is found to have occurred as a result of misuse or improper handling by Buyer. Misuse and improper handling shall include all use that is deemed as such according to industry’s best practices. Makeblock shall not be held liable for any deviations in shape, size and color that are customary in the industry or technically unavoidable. Buyer may not alter (the notices affixed to) the products and packaging delivered. Makeblock shall not be liable for damage suffered by third parties in connection with any infringement of their rights, including industrial and intellectual property rights. With regard to items delivered by Makeblock and originating from third parties, Makeblock shall only be liable towards Buyer to the extent that the third party in question has not limited or excluded its liability towards Makeblock . Makeblock’s liability shall never exceed the net invoice price of the Products concerned. 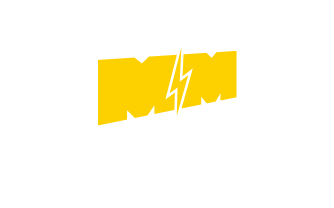 Makeblock shall not be liable for any direct or indirect consequential loss or damage (gevolgschade) (including without limitation loss of production, loss of profit) and personal injury (immateriële schade). Buyer herewith indemnifies Makeblock for any claims made against Makeblock by third parties who do business with Buyer directly or indirectly in relation to the purchase by Buyer of the Products under any agreement, arising as a result of the breach by Makeblock of any of its obligations. Makeblock may settle or set off any liability towards Buyer against any liability Buyer will have towards Makeblock or any other company affiliated with Makeblock as part of the Makeblock group of companies (“Makeblock Group”), or alternatively make payment towards the Buyer in settlement of any debt of Buyer towards any other company in the Makeblock Group. Buyer cannot assign or transfer any right under an agreement with Makeblock or any claim on Makeblock to any third party without Makeblock’s prior consent. Makeblock is entitled to assign or transfer any claim it may have on Buyer to any other company in the Makeblock Group. Upon delivery of the Products or as soon as possible thereafter, Buyer shall inspect the same, by analysis or otherwise, exercising such care as is customary or appropriate under the circumstances. Any claims concerning the quality or quantity of the Products delivered shall be submitted by Buyer to Makeblock in writing eight (8) days from the date of receipt of the Products. Any claims concerning defects incapable of being detected by random checks shall be submitted by Buyer to Makeblock in writing eight (8) days from the date of discovery and in any case within three (3) months from the date of receipt of the Products. Claims regarding the purchase price referred to in the invoice shall be made in writing and must be received by Makeblock within eight (8) days after the invoice date. Claims must be made by registered mail and provide a statement of reasons. Buyer will investigate and assess any and all third party claims based on alleged defects in any Products or parts thereof. Buyer will give immediate, written notice to Makeblock of any information of which it becomes aware that indicates (a) any actual or potential danger to end-users arising out of the Products or (b) any actual or potential violation of any applicable law, rule or regulation related to safety of products. Where possible Buyer will consult with Makeblock before taking any action in response to such information. Buyer violates or breaches any of the provisions of the conditions and/or the agreement with any other company of the Makeblock Group. Upon occurrence of any of the aforementioned events, all payments to be made by Buyer under any Agreement shall become immediately due and payable. In addition, Makeblock shall be entitled to claim full compensation for damages, lost profits and/or interest. If Makeblock terminates any Agreement for breach of any payment obligation or other material obligation, Buyer shall be obliged not only to co-operate in undoing or returning any deliverables already received, but also to pay damages equivalent to fifty percent (50%) of the Confirmation value of the items, without affecting Makeblock’s right to claim full compensation. All costs of judicial and extra-judicial measures which Makeblock takes against Buyer shall be payable by Buyer. Buyer acknowledges that the trademarks associated with the Products (the “Makeblock Trademarks”) and any and all copyrights or patents, including any applications for any of the foregoing, owned or licensed by Makeblock that are used or embodied in the Products (the “Makeblock Intellectual Property”) and any goodwill related thereto shall remain the sole property of Makeblock and all uses thereof by Buyer are on behalf of and inure to the benefit of Makeblock. 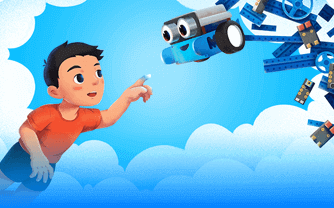 All current or future intellectual property rights regarding the Products, including but not limited to patent, copyright, trademark or trade secret, remain property of Makeblock . Makeblock reserves the right to review Buyer’s marketing and sales materials prior to their publication or use. 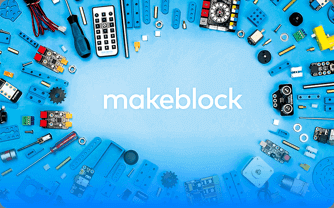 No rights shall inure to Buyer as a result of any such use or reference, and all such rights, including goodwill shall inure to the benefit of and be vested in Makeblock . Without prejudice to Makeblock’s rights to claim damages or to apply for any form of injunctive or interim relief, Buyer shall be liable to pay a penalty in the amount of EUR 100,000 per incident, and where the breach is capable of remedy EUR 10,000 per day that the breach is not remedied for any infringement or other violation of Makeblock Intellectual Property that is attributable to Buyer. Buyer shall not register, either in its own name or on behalf of Makeblock, the trademarks, trade name or other Makeblock Intellectual Property and will also abstain from using Makeblock or any designation of its products as (part of) its trade name or corporate To the extent the Buyer has obtained or acquired any such rights, it hereby unconditionally and irrevocably authorizes Makeblock to annul such rights or hereby assigns them to Makeblock or its authorized assigns, and agrees to undertake the necessary action to effect such annulment or assignment. Buyer will hold in confidence proprietary information disclosed by Makeblock that is either marked with a proprietary or confidential legend or is otherwise identified as proprietary or confidential by Makeblock. Buyer will use such proprietary information only for the purposes of this Agreement and will disclose such information to its employees and contractors only on a need-to-know basis. Buyer will maintain adequate procedures, including appropriate agreements with its employees and contractors to protect the confidentiality of the proprietary information. Makeblock reserves all proprietary rights in and to all data pertaining to the products, patents, know-how and techniques arising out of work done wholly or in part by Makeblock or its subcontractors, and any and all products developed as a result of such work. Buyer may only offer online those Products which Buyer has in its inventory. Buyer’s website shall make provision for high availability, have adequate bandwidth capability and be free from any persistent technical issues that may impede users from adequately accessing the website. Buyer will not sell or promote the Products on the internet through a website other than its own branded website that complies with the standards set out in these Conditions and the Agreement. Buyer will not seek to sell actively into the territories or customer groups that have been exclusively allocated by Makeblock to another Buyer or have been reserved for such purpose, inter alia by using territory based banners on third party websites shown in such territories, or by paying a search engine or online advertisement provider to have advertisements displayed specifically to user in such an exclusively allocated territory or to an exclusively allocated customer group. Buyer’s website shall include the Buyer’s full company name as used for the purposes of the Agreement and no other name. Buyer’s website shall include a link to Makeblock’s websites as notified to it from time to time. Buyer will ensure that customers do not visit its website through a website carrying the name or logo of a third party. 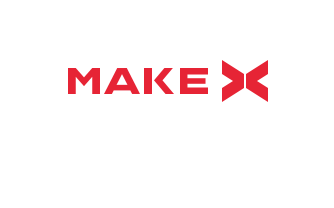 Buyer shall seek Makeblock’s prior approval for any use of the Makeblock Trademarks for the online sale and marketing of the Products. Buyer shall ensure that its website complies with all legal requirements such as cookies and distance selling (when applicable) and the relevant privacy rules (such as but not limited to the rules stemming from the EU or other competent supranational authorities. Buyer shall ensure that the Products are shown and described in a professional and accurate manner, with images and representations in full compliance with Makeblock brand procedures, using only images of the Products that have been supplied for that purpose by Makeblock. Buyer shall immediately remove any images at the request of Makeblock. All advertising shall present the Products as quality products and shall use suitable language for this purpose. Any advertising that in Makeblock’s reasonable opinion is inappropriate shall be immediately discontinued or (if required) recalled by Buyer. Buyer shall feature the Products on separate pages from any other products that it sells, but may present the Products with other products solely as a result of a consumer request to compare the Products with other products. Buyer shall maintain adequate pre- and after sales services and provide for adequate processes to deal with warranty claims and complaints, including a customer helpline telephone number that is available from 9am to 5pm on business days. 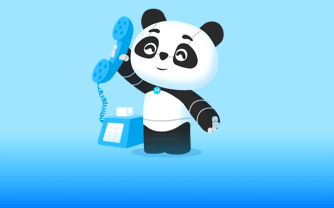 The helpline will be manned by at least one trained member of staff, who in the reasonable opinion of Makeblock is able to answer technical queries in relation to the Products and deal with sales related issues and returns. Buyer shall clearly specify additional charges associated with the sale and delivery of the Products including postal charges and credit or debit card charges. These details must be made available before the point of ordering. Buyer shall not feature any of the Products on its website where it is unable to deliver such items within three (3) days of the order and shall hold sufficient stocks of the Products for these purposes. Buyer shall make it clear if an item featured on its website is not in stock with Buyer. Buyer shall ensure that payment from customers is via a secure payment method. Where any excise duty, energy tax, VAT or other tax (“Tax”) becomes payable by Makeblock to a third party in relation to the supply, release from a tax warehouse or transport of the Products, Buyer shall pay such Tax to Makeblock in addition to the sales price. Where possible and solely at Buyer’s request, Makeblock will apply an exemption or a low or zero percent Tax rate or a suspension scheme as provided for under the applicable legislation. Buyer will in such case provide Makeblock with all documents (including an annotated copy of the administrative accompanying document) and information reasonably requested by Makeblock in accordance with the applicable legislation. If any (additional) Tax becomes due because Buyer has not timely provided Makeblock with such documents or information, or because of any fraud, loss or misappropriation in relation to the Products, documents or information, Buyer shall indemnify Makeblock against all liabilities for such Tax which Makeblock reasonably needs to pay to a third party, including any interest, penalties and costs. If Makeblock is subsequently able to obtain a credit or repayment of such Tax from a third party, Makeblock shall reimburse Buyer the amount so credited or repaid less all reasonable costs, penalties and interest incurred by Makeblock. Parties undertake to inform each other of any relevant facts so that remedial action can be taken, and to take into account the interest of the other in any dealings with national fiscal / customs authorities to resolve disputes. Makeblock shall not be in breach if any obligation suffers from force majeure (“Force Majeure”). Force Majeure includes any extraordinary circumstances such as fire, traffic impediment or transport problems, shortage of supplies or raw materials, strikes, illness, mobilization, state of siege, (threat of) (civil) war, disturbances or riots, import or export impediment and any other governmental measure or regulation, as well as any other circumstance that is beyond Makeblock’s control and which would result in Makeblock’s inability to perform in accordance with the Agreement. terminate the Agreement without any liability whatsoever. If a Party to any Agreement is unable to perform any of its obligations under these Conditions and/or any Agreement, it shall notify the other Party in writing as soon as possible. If, prior to the date of delivery of the Products, the circumstances that existed at the date of conclusion of the Agreement should change to such an extent as to make it impossible for either Party to be reasonably required to fulfill one or more of its obligations under the Agreement, and if such change could not have been reasonably foreseen by such Party, then Makeblock and Buyer shall jointly investigate, at the request of the injured Party, whether such hardship can be removed in a manner acceptable to the non-injured Party. If no agreement is reached within a reasonable time, the injured Party shall be entitled to terminate the Agreement. 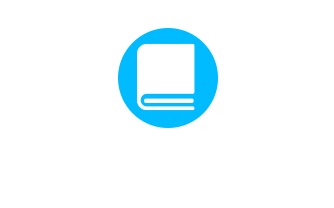 In the event that Makeblock, at its sole discretion, has reason to verify Buyer’s compliance with Clause 10 of these Conditions (the “Compliance Provision”), it shall have the right to appoint an independent auditor (the “Independent Auditor”) for the purpose of auditing the Buyer’s books and records to determine whether the Buyer is in compliance with the Compliance Provision. The selection of any such Independent Auditor shall be made by Makeblock , subject to Buyer’s consent which shall not be unreasonably delayed or withheld. Makeblock shall be responsible for all fees and expenses of the Independent Auditor. In the event of the appointment of an Independent Auditor, such auditor may enter Buyer’s premises at reasonable times and review Buyer’s books and records, as necessary to determine whether the Buyer is in compliance with the Compliance Provision. If the Independent Auditor concludes that Buyer is not in full compliance with the Compliance Provision, it shall immediately report such conclusion to Buyer. Buyer will then have five (5) business days to object or request modifications. The Independent Auditor shall consider any such objections and modifications but shall have no obligation of any kind to make any modification to its conclusions. At the end of said five (5) business day period, the Independent Auditor shall provide its initial report and any modifications thereto to Makeblock. Makeblock has the right to suspend, delay or cancel any delivery or any other performance of its obligations for the duration of the situation of non-compliance of the Buyer with the Compliance Provision and to take such measures that Makeblock in its sole discretion deems to be necessary and/or appropriate. Buyer shall indemnify and hold harmless Makeblock from and against any claim, proceeding, action, fine, loss, cost and damages arising out of or relating to any non-compliance with the Compliance Provision by Buyer, and Buyer shall compensate Makeblock for all losses and expenses resulting thereof. Each Party represents that it is duly authorized to enter into an Agreement with the other Party and represents that with respect to its performance thereunder, it will comply with all applicable international and local laws. By accepting Makeblock’s offer, entering into any Agreement and/or accepting any Products, Buyer agrees that it will not deal with the Products and/or documentation related thereto in violation of any law. Makeblock shall only be liable for compliance of the Products with technical requirements or standards following from foreign legislation or regulations, before concluding an Agreement, when such specific requirements or standards have been explicitly notified in writing by Buyer to Makeblock and have been accepted or confirmed by Makeblock. Buyer will use its best efforts to promptly obtain such permits, licenses, certificates or other documents necessary to perform its function in the Market (including but not limited to currency permits, import certificates and end use certificates) as may be required by any relevant government for authorization of the sale and marketing of any of the Products in the Market by Buyer. These Conditions and the Agreement, as any rights and/or obligations pursuant thereto, whether based on contract law or of a non-contractual nature, shall be governed by and construed in accordance with the laws in force in the European parts of the Netherlands, provided, in as far as possible, that the intention of the Parties as expressed herein (if any) shall prevail over any presumptions, constructions or intentions implied or imposed by law. The United Nations Convention on Contracts for the International Sale of Goods shall not apply to the construction or interpretation of this Conditions or with the Agreement or affect any of its provisions. The Parties shall endeavour to settle amicably any dispute or claim arising out of or in connection with these Conditions or with the Agreement by negotiation between executives who have authority to settle the controversy. Any and all disputes arising out of or relating to these Conditions or the Agreement and any subsequent amendments thereof as well as any such other rights and/or obligations pursuant thereto will be exclusively submitted to and finally settled by the competent court in Amsterdam, the Netherlands (the “Court”). If and to the extent that, for any reason, whether during the proceedings or after the Court has rendered a judgment, the decision of the Court can no longer be recognized or enforced in the jurisdiction where the Buyer is domiciled, it is agreed by the Parties that any judgment or ruling by the Court on matters of fact and law submitted to the Court by any party shall be binding and conclusive evidence on such matters of fact or law decided by the Court in any proceedings between the Parties in any other jurisdiction regarding such facts or issues of law. In relation to any dispute to which this Clause 17 applies, the Buyer will continue to perform its obligations under these Conditions as far as possible as if the dispute had not arisen pending final settlement of the dispute. In the event that any Conditions of this Agreement or the application thereof to any person or in any circumstances shall be determined to be invalid, unlawful or unenforceable to any extent, the remainder of this Agreement and its Conditions shall continue to be valid and may be enforced to the fullest extent permitted by law. Parties further agree that in such event to substitute forthwith the invalid, unlawful or unenforceable provision by such effective provision as will most closely correspond to the legal and economic contents to the provision(s) so voided.